The residual streams are normally filtered by bacteria, resulting in CO2 emissions and wasting valuable nutrients. 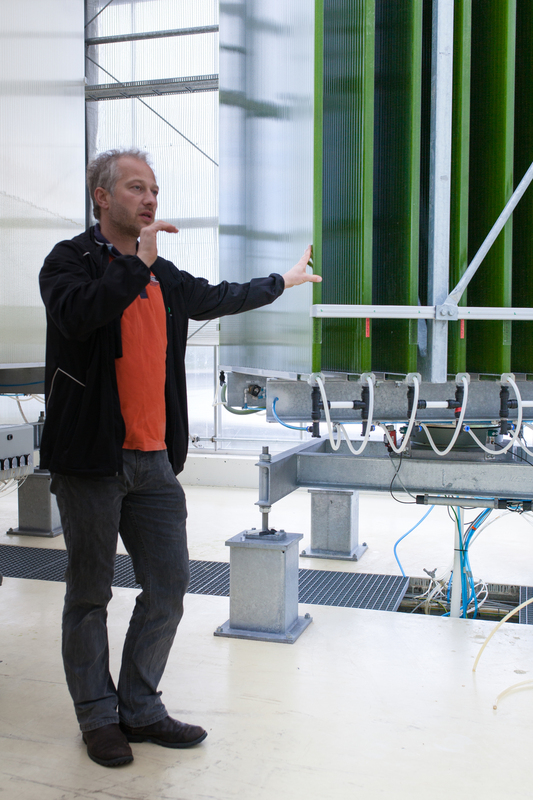 The E4Water Project in Kalundborg has developed an efficient water treatment using microalgae for the cleaning of these industrial residual streams. The microalgae clean the water and produce biomass which can be used for high value byproducts such as an alternative for fish food, proteins and lipids. This technology reduces costs and the use of water and adds more value to the production chain in Kalundborg. Although this technology is not new, it is continuously developed using specific algae types and low energy biomass filters. E4Water and the Kalundborg Municipality will continue the testing facility to improve the efficiency of the technology. Please watch the video to get a visual impression of this innovative approach!